Public Eye : A Civil Rights Case Study examines both the daily happenings and monumental moments of the historic Civil Rights era. On display are documents of the organizing, shaping, and transformative fight for racial equality and social justice in the United States from the 1960’s to the 1970’s as captured by the unblinking eye of surveillance. History has repeatedly shown the struggle of the majority against consolidated power, as Stokely Carmichael stated, “ The masses don’t shed their blood for the benefit of a few individuals.” This archive represents a slice of time that bears witness to the actions of groups and individuals that mobilized, led by a moral compass that pointed towards revolution and outrage against segregation, the assassination of Martin Luther King Jr., the war in Vietnam, the unethical treatment of prisoners, institutional racism, and the systematic oppression of people. We are offered a glimpse into the organizations whose power is being challenged; films and photographs of Ku Klux Klan marches, organized protests to keep schools segregated, and audio recordings of the police struggling to strategize a way to respond to a society that is becoming increasingly foreign and hostile under the rising influence of Black Power and the Students for a Democratic Society. In this way PUBLIC EYE presents not only the socio-political landscape of Richmond, but the daily activities of public and private activities that defined the era. The role surveillance culture plays in the struggle for social justice frames changing and prevailing ideas of freedom. Periodically, throughout these images, we see the subject looking back on the photographer, in these moments we are directly confronted with the complexities of this archive and its relevancy of the past to the present. Bill Ayers will give a reading from his new book Public Enemy: Confessions of an American Dissident at Black Iris, February 18th at 7:30pm. 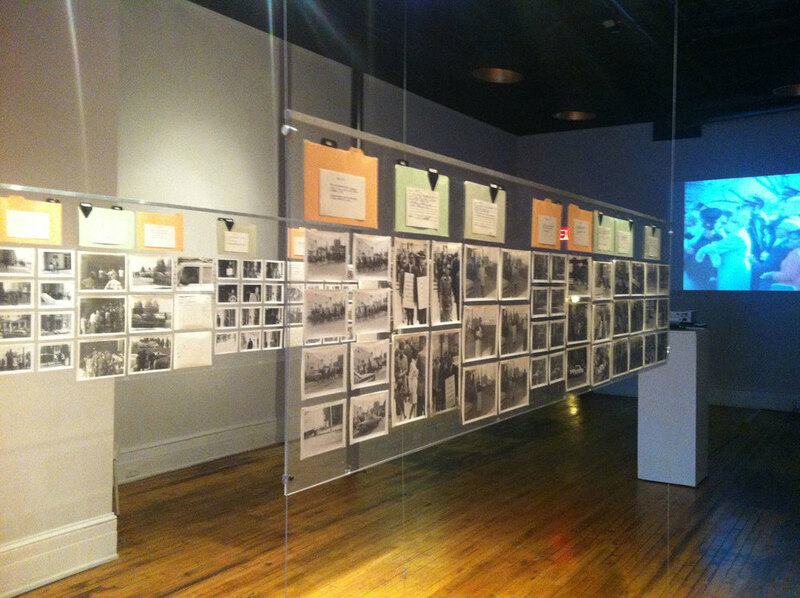 Bill's unique position in the civil rights movement of the 1960's and 70's provides unique insight to the surveillance footage on view in the Public Eye: A Civil Rights Case Study exhibit. 03/06/14 - Love and Radio: Silver Dollars presentation. Q&A afterwards with Nick van der Kolk. Join us Thursday March 6th at 7:30pm for a night of audio exploration with podcast LOVE & RADIO's newest creation "Silver Dollar". We continue our investigation of into the worlds of surveillance, race and power as seen in the visual and aural archives of PUBLIC EYE : A CIVIL RIGHTS CASE STUDY (open through March 15th). Silver Dollar is about Daryl Davis, who's profession is music, but understanding racial supremacy is his obsession. Since a teen, he’s been collecting racist paraphernalia, and has probably had more interactions with Neo-Nazis, Klansmen, and other hate groups in America than any other black man. And by ‘interactions’, we mean everything from drinks and dinner, to debate and fist-fights. This is a story about understanding hate, and how we react to it. The audio screening will be followed by a Q&A with Love + Radio director Nick van der Kolk.